A mockup Apple Car design. Apple is asking the charging station companies about the technology they use, a source explained to Reuters. The source noted that the discussions are not centered around providing charging stations for Apple employees. Those firms are said to be wary about sharing too much information, however, since Apple could be a potential competitor. While none of the companies contacted by Reuters would directly acknowledge dealings with Apple, the president of EVgo did say his firm was "in discussions with every manufacturer of today and every potential manufacturer of tomorrow." One anonymous engineering and construction firm has allegedly come to Apple offering its services. Reuters noted that Apple has hired at least four people specialized in car charging, including some formerly with Google and BMW. One of them, Nan Liu, was hired in January and has previously researched wireless vehicle charging. Charging infrastructure is a critical problem for electric cars, since while stations are becoming increasingly common in the U.S., they are still rare and people are less likely to buy an electric car if they can't be certain about driving range. California alone is expected to need as much as 25 times its current number of stations just to support 1 million vehicles by 2020. 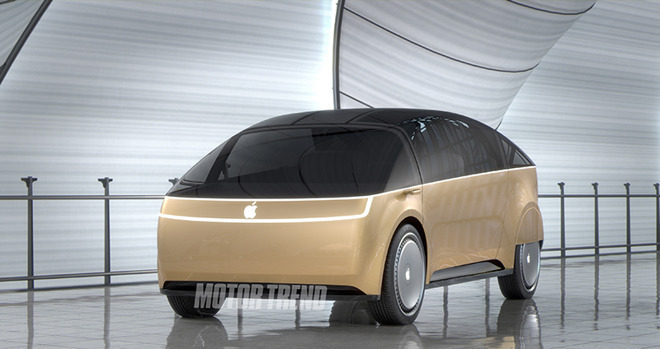 Apple is believed to be developing an electric car for launch in 2019 or 2020, in a project codenamed Titan. It's unknown if Apple's charging technology will be compatible with other formats on the market, like Tesla's Superchargers, or if the company will push for a proprietary standard that might limit its market.